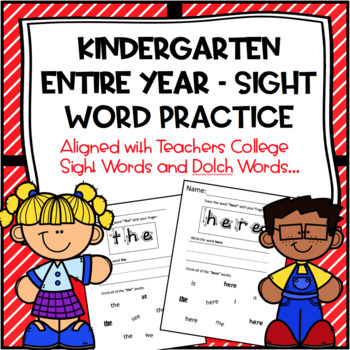 This sight word packet consists of 99 sight word pages. It adds consistency to your students weekly homework. I used this packet in my own classroom this year. 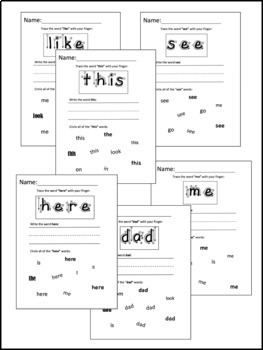 I sent home 2 to 3 words a week along with the matching worksheets. My school is using the TC Phonics program, I incorporated all kindergarten Dolch sight words as well as TC phonics words. Developmentally kindergarten students need practice in letter formation. 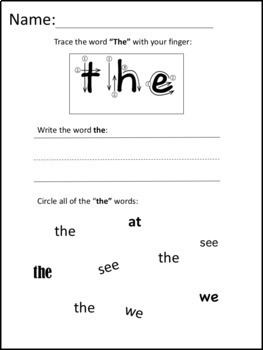 These worksheets offer a multi-sensory approach to homework. I hope that you find them useful too!